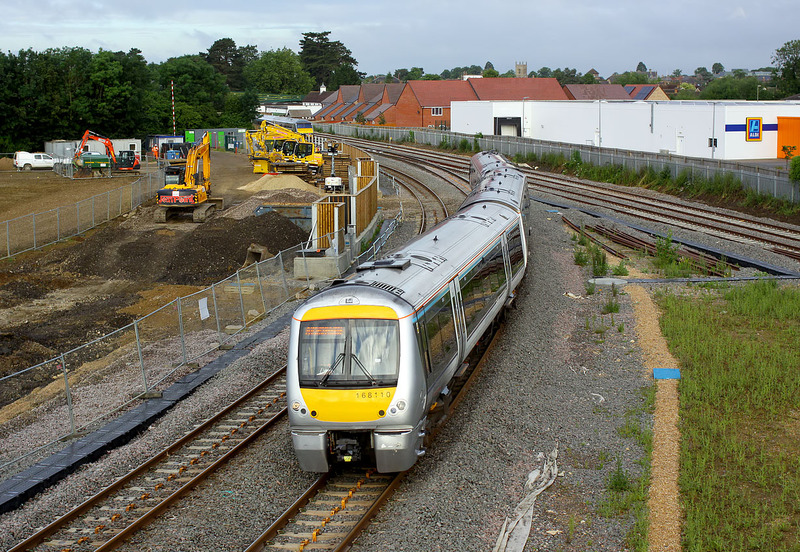 On 1 July 2016, 168110 passes Gavray Junction, and runs along the new chord to Bicester South Junction, which is a link between the Oxford to Bicester Line and the Chiltern Line. It is working the 1Y07 06:31 Oxford Parkway to Marylebone Chiltern Railways service. Just visible in the background is DVT 82301 on the rear of the 5T03 05:52 Wembley to Bicester Village ECS, which was being led by 68011.